Although I have mentioned the Linde Werdelin SpidoLite SA All Black before (click here), I never really published about it, since I don’t want to become too biased. On the other hand, this blog represents my own interest in watches and brands, so why not? Fellow Dutchman Martin Wilmsen’s website (WristWatchPhoto), normally dedicated to Panerai watches, mentioned the SpidoLite SA All Black a few days ago. I was blown away by the pictures he took and he told me I could use them for my own blog if I wanted to. Well, here you go. The full set of pictures can be found at his other web initiative, PaneristiPix.com. 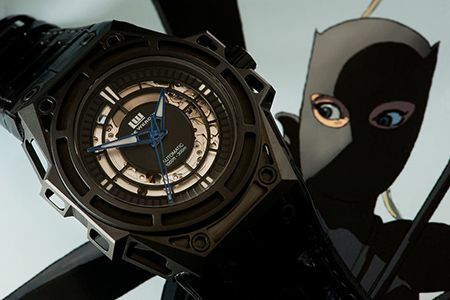 The SpidoLite SA All Black DLC version was introduced on the 15th of October 2009, retailing at 9.800 Euro. This DLC’ed titanium watch is limited to 88 pieces world wide, and is available for pre-order via the Linde Werdelin website or through one of their distributors. Like all SpidoLite SA versions, the movement is a A.Schild caliber 1876 modified by Svend Andersen. The rotor, made from blue gold, is engraved with both the LW and Andersen Geneve logo. Svend Andersen is an independent watch maker, based in Geneva, and respected member of the AHCI (Horological academy of Independent Creators). Actually, Andersen is one of the founding members of the AHCI, an initiative from 1985 for (master) watch makers to demonstrate that watch making is more then meets the eye. Michael Clerizo covered Svend Andersen in his recently released book on watch making, Masters of Contemporary Watchmaking. The SpidoLite has been designed to fulfil the need of professional mountaineers, to have a light weight wrist watch. Like all other Linde Werdelin time pieces, this one can also be extended with The Rock instrument for mountaineers or skiing fanatics. This All Black version has been coated with DLC (the normal version has a titanium grade 5 watch case) and features blued hands. I think it is important to stretch that despite its size (dimensions: 46mm (w) by 49mm (l) by 12mm (h)), the Linde Werdelin watches wear very comfortably on the wrist. 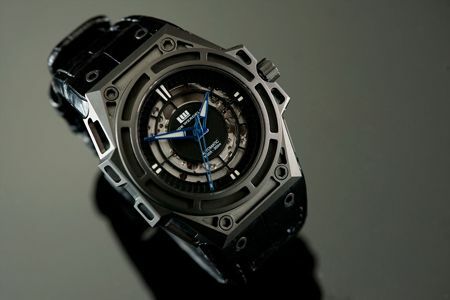 Also, if you are Dutch, please visit www.horloge.com for more information on Linde Werdelin. 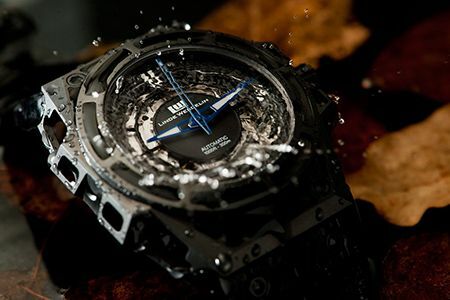 Horloge Platform Nederland recently became Linde Werdelin’s official retailer in The Netherlands.